Use your receiver as a recovery tow point: Will fit standard Class V Hitches and will allow the use of a Shackle D-ring. No need anymore to sleeve the hitch down to a weaker class III or Class IV Hitch. 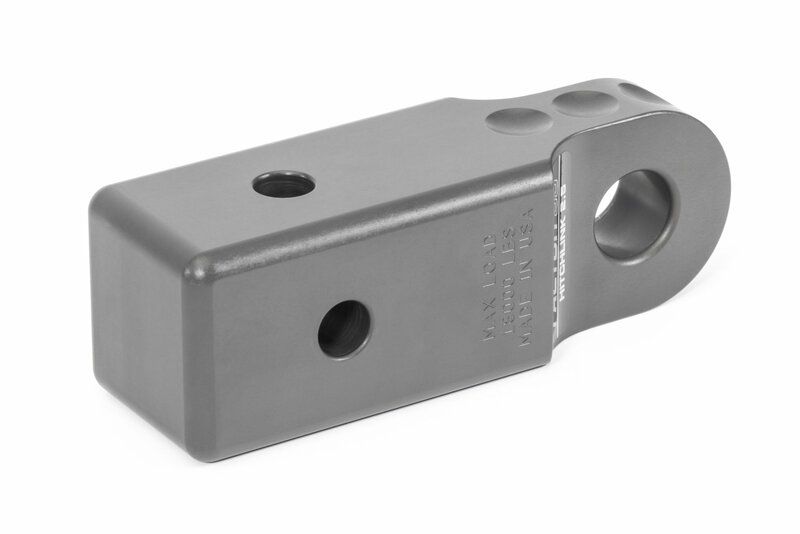 Lightweight Yet Strong: Precision CNC machined 6000 series aluminum, and weighs only 3.6 lbs. The link is rated at 18,000 lbs with an ultimate fail rating at 69,000 lbs. 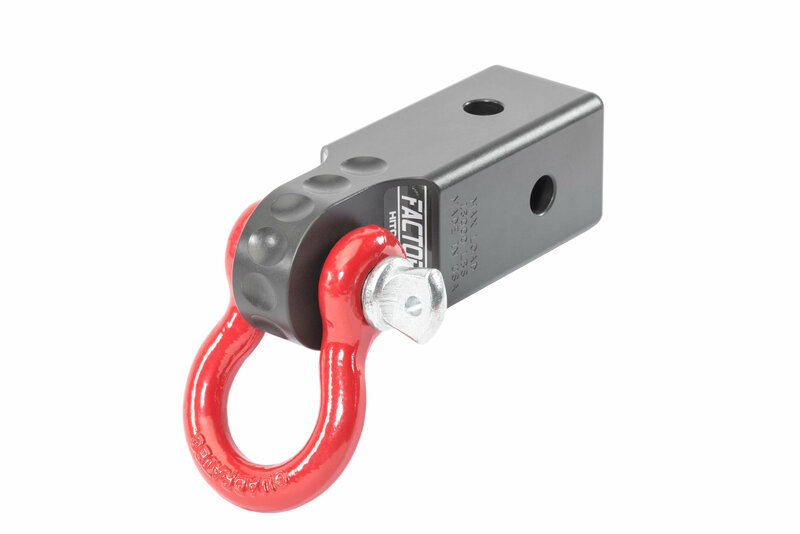 This link will accept any standard 3/4" or 7/8" shackles. 1. Never exceed factory receiver hitch pull rating. 2. 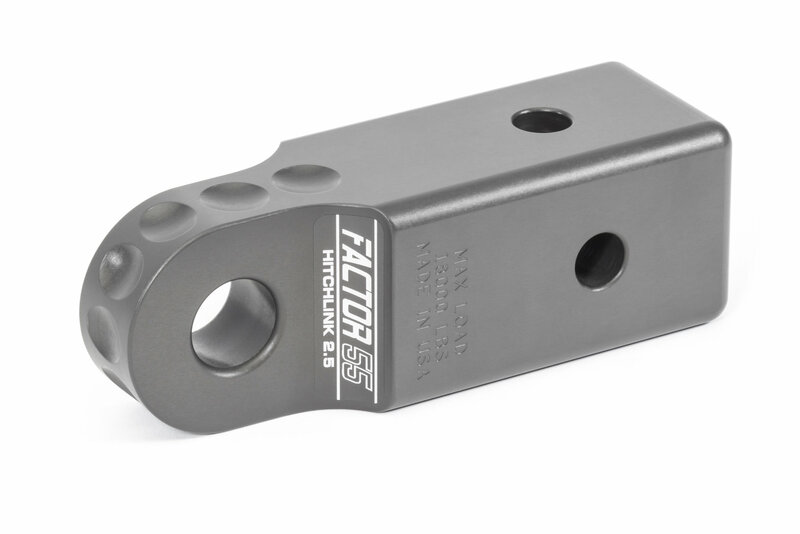 Always use a quality steel alloy 5/8" hitch pin. 3. Always pull in line with the hitch, do not bind or side load the shackle.